Spike Strikes Again! | Just Create! It Almost Killed Me! Christmas Is Coming! 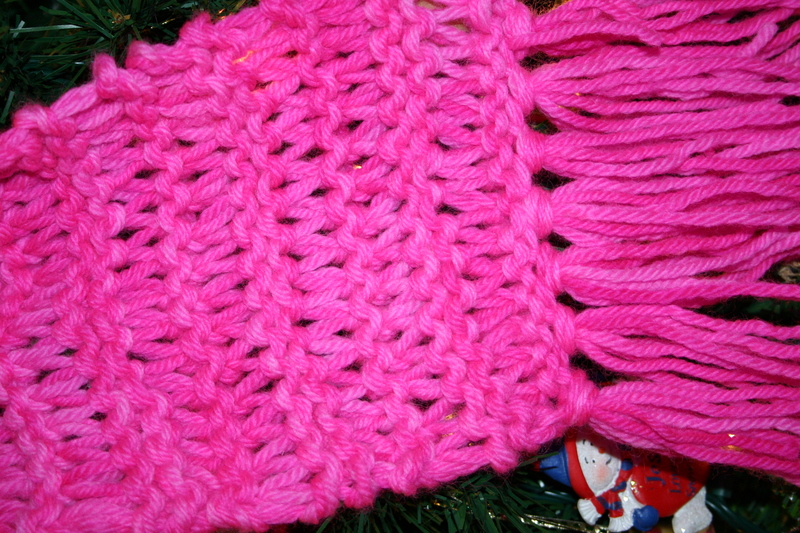 My sister has continued to wear this scarf each winter (I gave it to her Christmas of 2007) and she reports often that someone stops her and asks where she got her scarf or comments on it. In early spring, my sister and mom moved back in together. Last week, they decided to go on vacation today to Florida. I fed their cats while they were gone. A few days after they got back from their trip, I got a call from my sister telling me about her beloved scarf. Seems Spike found an end of it. It was hanging in a spare closet with her winter coat and they weren’t aware that it was hanging down enough to be in danger. Now, for those of you unaware of what danger I am talking about, let me point you to this post. Take a moment to read that post and you will start to understand that a hand knit, wool scarf could be in danger. You can click to make the picture bigger to get the scope of the damage. So, we put the scarf in a bag and I brought it home to see what I could salvage. 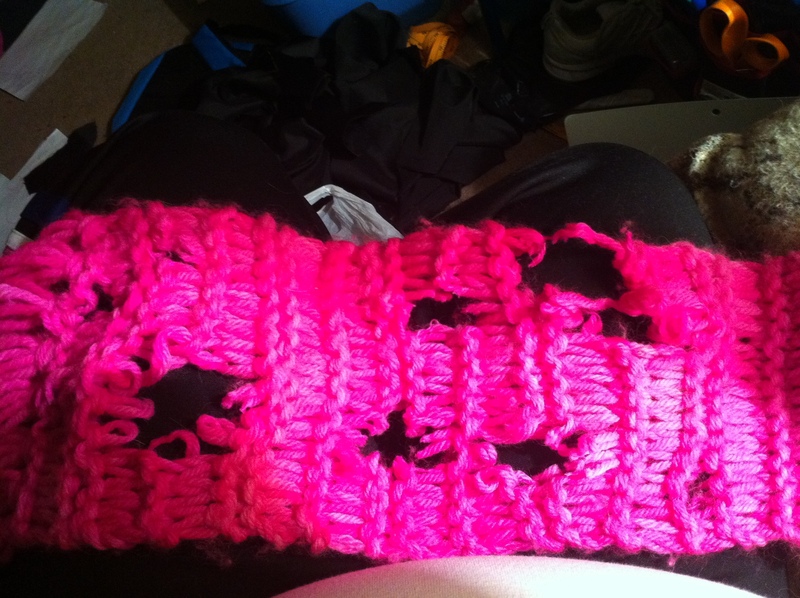 I was able to unravel the scarf, although I had a lot to throw away at the end. I did felt the ends together on several longer pieces to minimize waste, but some of the pieces were just tiny and not worth even trying. I am now hunting for a cowl pattern to see if I can give my sister something else she will love just as much but with a bit less yarn. And my sister is on the hunt for a safer storage space for her scarf! Oh no! that is a bummer!!! That was my favorite scarf and every where I went people told me how beautiful it was and I proudly told them that my sister made it for me! I hope she can make something out of it for me! oh no!! i’m sure you can salvage it, sheryl!! and if not, it’s an excuse to buy more yarn!